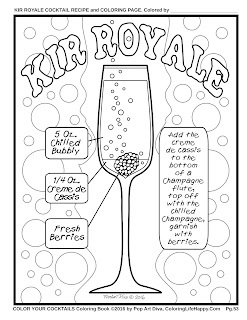 The Kir Royale is a champagne version of blanc-cassis, a white wine and blackcurrant liqueur cocktail. The classic version Kir Royale is simply champagne with a splash of Creme de Cassis, a black current liqueur, though there are now many variations out there for the adventurous palate. I've often done this with Chambord in place of the Creme de Cassis.